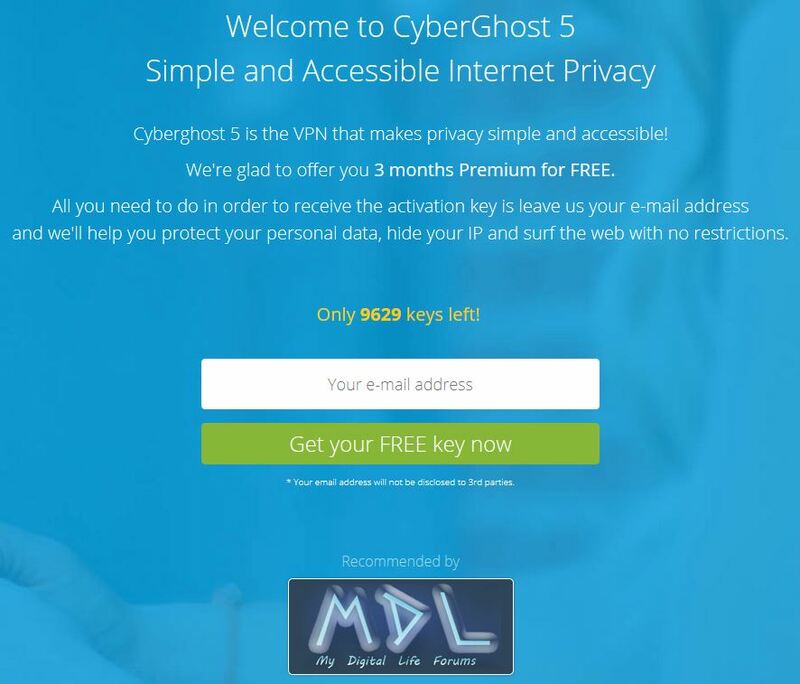 Giveaway Cyberghost 5 3 months Premium for FREE. 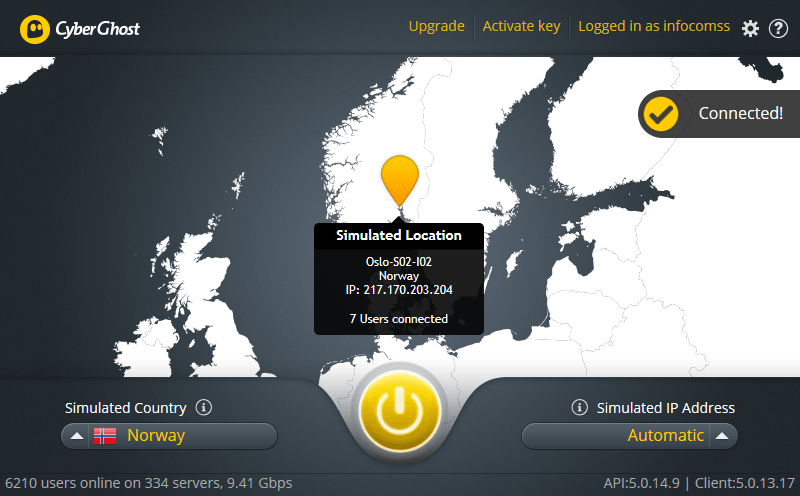 Cyberghost is the best VPN EVER. The keys can be activated onlyuntil 31st January 2015. Only one key per user can be retrived. Cyberghost VPN is a fast and reliable VPN client and online service that lets users browse the Internet anonymously through a very secure 256-bit SSL encrypted connection. The program is very easy-to-use and requires no expert configuration. 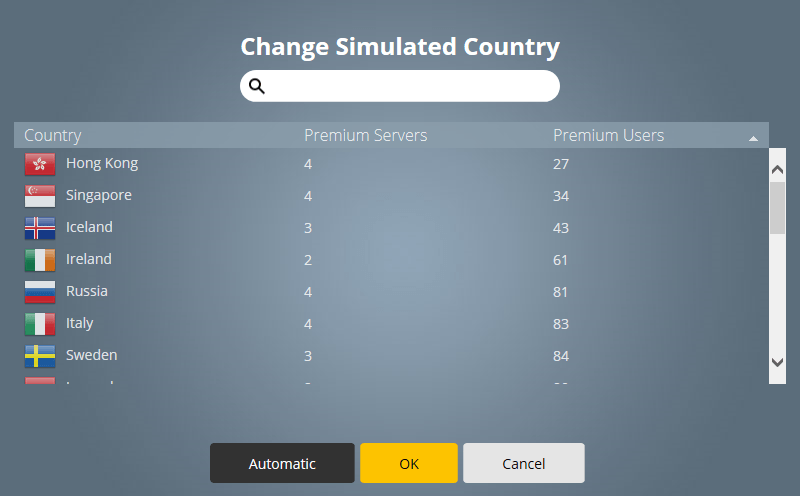 Once connected to Cyberghost VPN service a new IP address is provided by the client software which ensures that the CyberGhost VPN IP address should not be assigned to one particular CyberGhost VPN user and the real IP address is hidden from the web. Moreover, you can also use Cyberghost VPN to access blocked websites or blocked content by circumventing geo, IP or other blockades. CyberGhost Premium Promo for 1 device includes traffic encryption AES 256-bit, unlimited bandwidth and unlimited traffic, protocol support OpenVPN, L2TP / IPSec, PPTP, and 390+ Premium-servers in 23 countries, including USA, Canada, UK, Germany, Italy, Sweden, Romania, Czech Republic, Switzerland, Singapore, Russia, Ukraine and others. 1. Go to the promotions page and get the activation code (Activation Key). 2. Download CyberGhost VPN and install, activate received code. License must be activated before February 28, 2015 .